If you want an immediate divorce, your best bet is to move to Nevada – and even there, the process isn't over with a snap of the fingers. Maryland's laws are much more stringent, and at the very least, it will probably take you a few months to legally sever the bonds of matrimony. Nonetheless, if you want to get the ordeal over with in a hurry, you have a few options that can expedite the process a little. If you want to get divorced immediately – or as close to it as Maryland allows – you might want to avoid the state's no-fault grounds. That route requires that you and your spouse live separately, in different residences, for a full year, and you must complete the year's separation before you can file. Maryland has no option for no-fault divorce other than this separation period. Maryland recognizes a host of fault grounds for divorce, and some require waiting periods while others do not. If you claim that your spouse deserted you, you must wait a year after he left to file. You can file on grounds that your spouse has been convicted of a crime, but he must be incarcerated for a year before you can file. If you allege that he's insane, the waiting period is three years, and he must be institutionalized the entire time. You can file on grounds of adultery immediately, but you'll have the burden at trial to prove that your spouse really did stray, even if he admits it to the court. Maryland also recognizes grounds for cruelty of treatment and excessively vicious conduct, which do not require waiting periods. You can file as soon as your spouse commits either mental or physical abuse, perpetrated against you or your child. If you file on one of the fault grounds that do not require a waiting period, you can be divorced relatively quickly if you and your spouse immediately reach a marital settlement agreement, resolving all issues so you can be divorced without the court deciding things for you. Otherwise, your divorce proceeding is contested, and this can drag the whole process out for a considerable period of time. If you and your spouse are at odds regarding custody, support or property, the court can order you to attend mediation. You might have complete appraisals and evaluations so that the judge has facts upon which to base decisions. Midway through the proceedings, the court will give you a chance to settle at a settlement or status conference, but if you don't, you'll have to go to trial. If you're anxious for your divorce to be over with in a hurry because you need the court to order a custody arrangement or financial support from your spouse, Maryland law offers you an option. You can file for a limited divorce, which is akin to legal separation. The process begins in much the same way as an absolute divorce, with the filing of a complaint. However, the grounds for limited divorce don't involve waiting periods, so you can get a court hearing immediately to ask for an order resolving some marital issues. Unfortunately, property division isn't one of them. A Maryland court cannot divide marital property in a limited divorce; this must wait until you qualify for an absolute divorce. Huesman, Jones & Miles: How Long Does Divorce Take in Maryland? 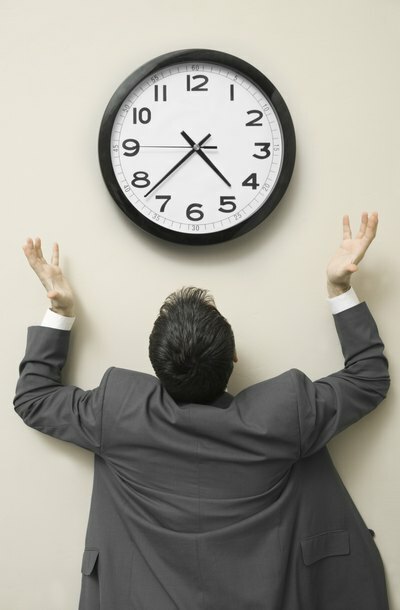 Can I Waive the Length of Separation Requirements in an Illinois Divorce? Illinois doesn't make it as easy to divorce as some other states. It recognizes no-fault grounds, but with a catch. The grounds are tied to a separation period; you don't have the option of simply telling the court that your marriage is over and immediately moving on with your life. However, if both you and your spouse really want out of the marriage, you can cooperate to shorten the separation period.